Having tailored employment contracts in place to protect your businesses interests is just smart business. Confidential Information is a very important matter. It will help protect the goodwill of the business that has been built up by you over time. It will help protect your customer base and your “special” know-how. Similarly, if an employee leaves, you may want to prevent them, as far as possible, from marching over to your opposition. These types of clauses, when drafted with care, can be far more enforceable than people often think. 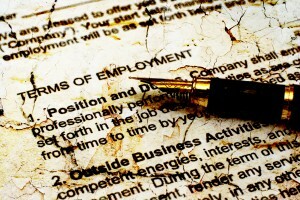 We can assist in drafting tight employment contracts for you.